The delicate shape and hue of the violent is a pretty reminder of the lush greenery that can be found in the state of Illinois. Following a vote of school children in the state, the violet was selected as the state flower of Illinois effective July 1, 1908. 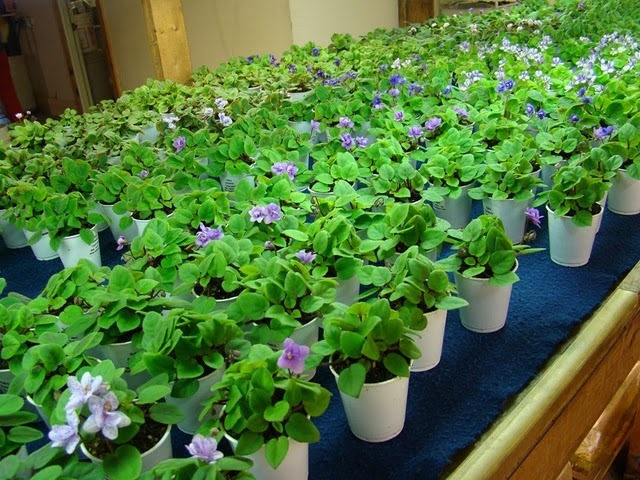 Today, the “native violet” can mean any one of the hundreds of violets that grow naturally in the state and nobody has cared particularly to make a distinction as to which violet the school children selected over a century ago. The bright greens of the farmlands and hills of Illinois are often dotted with violets. The dooryard violet, for example, grows in both sunshine and shade and peeks up with a bright purple face. The open petals are velvet purple with a darker shade in the center of the flower. Growing low to the ground, the violets are commonly found in purple but can appear in many other lighter shades as well. Known in other parts of the country and world as pansies, the violets of Illinois have a solid place in the state’s history and aren’t known by any other name. The delicate plants can be planted as an annual or perennial and appear as either a shrub or a small plant. Hearty once they are planted, the violets appear delicate thanks to their soft nodding flowers. Indeed, the violet demonstrates its duality when sniffed. The soft fragrance of the violet can only be smelled once as the flower releases ionone, a chemical that desensitizes the nose for a time. Violets are an easy plant to grow and are considered annuals in most cases allowing you to change the color or the placement each year. To plant violets, plan to use them as a hearty ground cover. The violets are natural in a wooded area or in a cottage garden. Violets prefer moist soil and grow easily and well in semi-shaded or fully shaded beds. The violets are self propagating and will bloom in late winter and early spring with flowers lasting throughout the summer months. This entry was posted on Sunday, March 28th, 2010 at 6:53 pm	and is filed under American Flowers. You can follow any responses to this entry through the RSS 2.0 feed.